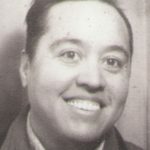 Chris E. Vargas is a video maker & interdisciplinary artist. From 2008-2013, he made, in collaboration with Greg Youmans, the web-based trans/cisgender sitcom Falling In Love…with Chris and Greg. With Eric Stanley, he co-directed the movie Homotopia (2006) and its sequel Criminal Queers (2015). He is the founder and Executive Director of MOTHA–Museum of Transgender Hirstory & Art.